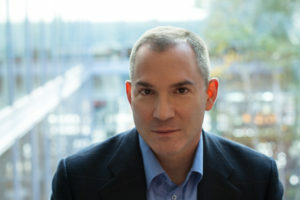 Journalist Frank Bruni, whose 22-year career at The New York Times has included stints as White House correspondent, restaurant critic and now columnist, will speak at the Johns Hopkins University’s commencement ceremony on Wednesday May 24. A wide-ranging opinion writer who regularly takes on key issues in higher education and politics, Bruni will receive an honorary doctor of humane letters degree at the event, where about 7,000 Johns Hopkins undergraduates, graduate students and professional students will also be awarded their degrees. Bruni’s newspaper career started at The Detroit Free Press, where he worked as a war correspondent, covered religion and served as chief movie critic. There, in 1993, he was a Pulitzer Prize finalist in feature writing. He joined the Times in 1995 and since then, he’s worked in almost every part of the paper. Initially he was a metro desk reporter, where he frequently wrote for the newspaper’s Sunday magazine and, in 1996, was part of a team that won the George Polk Award for coverage of the death of an abused child. He then moved to the nation’s capital to join the paper’s Washington bureau. There he covered Congress and the presidential campaign of George W. Bush, before moving on to cover Bush during his first months in the White House. In 2002, Bruni became the paper’s Rome bureau chief, a post he held for two years before being named restaurant critic. He became an op-ed columnist in 2011. Bruni is the author of three best-selling books. The New Yorker called his 2002 detail-filled take on covering Bush, Ambling Into History: The Unlikely Odyssey of George W. Bush, “honest and perceptive.” His deeply personal 2009 memoir, Born Round: A Story of Family, Food and Ferocious Appetite, reflected on his struggles with his weight. It was widely praised as a brave, revealing look at life with an eating disorder. The Washington Post called it an “unflinchingly honest look at himself.” In 2015, the Chicago Tribune called Bruni’s examination of the college admissions process, Where You Go Is Not Who You’ll Be: An Antidote to the College Admissions Mania, a service to parents, saying, Bruni’s “finesse” and “honest, accessible writing” should earn him “mash notes” from high school guidance counselors. Issues of gay rights are particularly important to Bruni. Recognizing his contributions to the LGBT community, the National Lesbian and Gay Journalists Association gave Bruni its Randy Shilts Award in the fall of 2016. His first cookbook, an ode to meatloaf, A Meatloaf in Every Oven, co-written with Jennifer Steinhauer, was published in February. “I’m so honored — and so excited — to be a part of the commencement exercises at a school that has contributed so much to intellectual life, scientific progress and social discourse in this country, and to be able to speak to, and meet with, its students at such an important juncture in American life,” Bruni said.